When small-time finance journalist Matthew Prior quit his day job to launch Poetfolio, a website devoted to financial journalism written in verse and literary prowess, the idea seemed to have some merit in an upwardly mobile economy. So did his wife's eBay investment resale scheme, purchasing collectables on eBay with the intent to sell for a profit in just a few years. But like so many business plans in an upwardly mobile economy, Prior overestimates the economy as well as his own business savvy, without ever pausing to think that unproven entrepreneurs generally change their lifestyles while pursuing one-off long shot dreams. Instead, all he and his wife do is create a recipe for disaster. Poetfolio burns through a grant and is given up before the launch. And his wife's eBay spree cuts deep into their savings. The novel catches up with him well after he had already crawled back to his old job only to be laid off after a few short months. In two years, Prior is buried in bad debt, caring for his dementia-afflicted father, six days away from losing their home, and suspicious that his wife's online social life is the front for an affair. 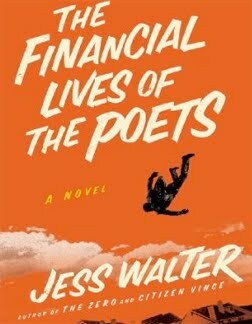 The Financial Lives Of The Poets by Jess Walter is a darkly frustrating and funny satire of excess, errors, and self-pity. We first meet Prior, late at night, purchasing a $9 gallon of milk at the 7-Eleven. But unlike most late night milk runs shared by thousands of Americans so they can serve their children cereal in the morning, Prior pauses long enough accept a hit of high-grade marijuana offered up by 20-somethings that he would have avoided in more sensible times. It's his first time getting high in years. And rather then letting it go, he embraces the escapism and gives the boys a ride to a nearby party. This single decision leads to a week-long series of accelerating missteps that sink him even deeper into self-loathing pity, beginning with the idea that selling pot might serve as his parachute. At times, it really pays to remember that the story is a satire because while some reviewers call Prior "a likable everyman," he's better described as a frustratingly pathetic anti-hero. There are moments you want to like him, just when he seems to be taking some control over his life, only to see that control slip away while he blames circumstances on everyone but himself and those responsible. He's not alone either. There isn't a single character, it seems, who hasn't wooed themselves into an undesirable circumstance. His father's dementia was hastened after months of seclusion because he was too proud to seek help after a stripper rolled him for everything, including his credit cards, cash, and home furnishings. His wife never accepts responsibility for the affair she rekindles with an ex-high school boyfriend online (nor does Prior let her). His former editor ignorantly contributes to the demise of the newspaper, the drug dealers were forced into their professions, and the federal task force agents are desperate for another grant. All of them seem blissfully content to believe any risks have no consequences and everyone is entitled to move forward, ever upward. And in the end, even if the readers might pull some lesson from the sometimes politicized perception of the characters, it is clear none of them really do. They are content to declare personal, financial, and material bankruptcy while setting the stage to repeat their mistakes albeit from a lower starting point than the pre-opening. But that is the rub. For all the reviewers who believe that the satire might be seen as an indictment on contemporary America, it seems much more attune to be a satire with the consumer-drunk and safety-entitled people who live within it. The Financial Lives Of The Poets By Jess Walter Flies A 4.1 On The Liquid Hip Richter Scale. Walter was once a journalist before he became the author of five novels, including The Zero, which was a finalist for the 2006 National Book Award, and Citizen Vince, winner of the 2005 Edgar Allan Poe Award for best novel. 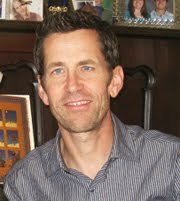 Walter's talent is evident; a fresh voice in contemporary literature. While The Financial Lives Of The Poets has some factual errors and unbelievabilities, they lend even more absurdity as you remind yourself it's satire. You can find The Financial Lives Of The Poets on Amazon. Walter does an inspired job reading the audio version, which you can find on iTunes.